OIL RIG is based on the theme "destructive" particulary with regards to environmental destruction. 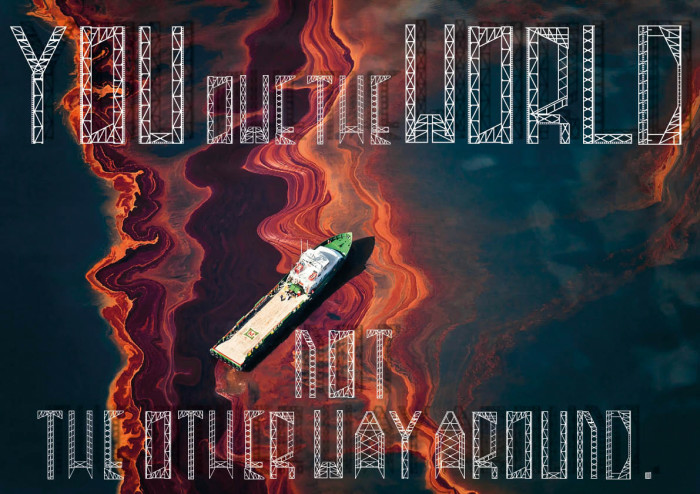 I based my font on the structure of oil rigs; I think they have sense of beauty about them, but behind that there is a sinister note, as they are facilitating the human led destruction of our planet. The extraction of oil for the manufacture of products such as plastic, is having a detrimental effect on our planet. Oil spills eradicate marine communities, and plastic products pollute our oceans. This is an issue which I feel needs more attention. Info: Created on Tue, 16th October . Last edited on Sat, 10th November.